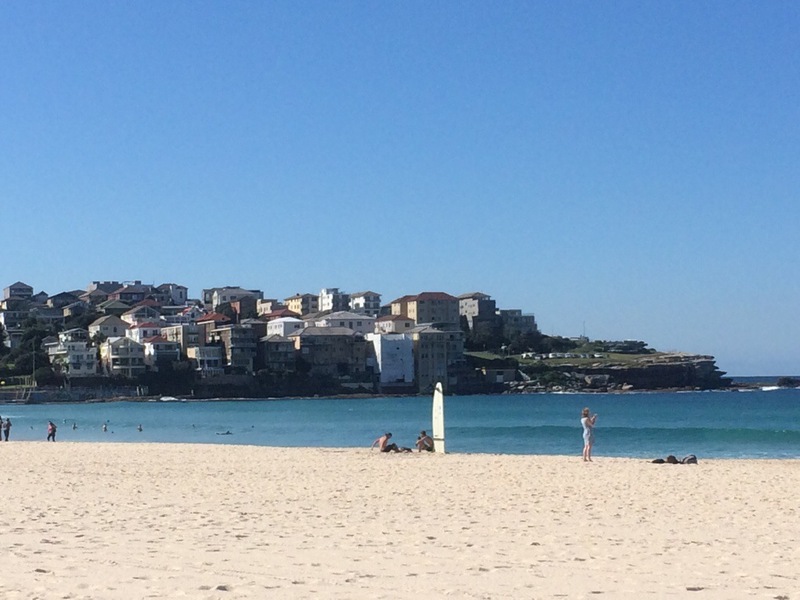 My first time in Bondi wasn’t exactly uneventful but I’ve got to say what stood out as a memory was being there in my winter outfit. Leather boots, woolen shirt and fleece jackets. NOT my idea of a beach outing. 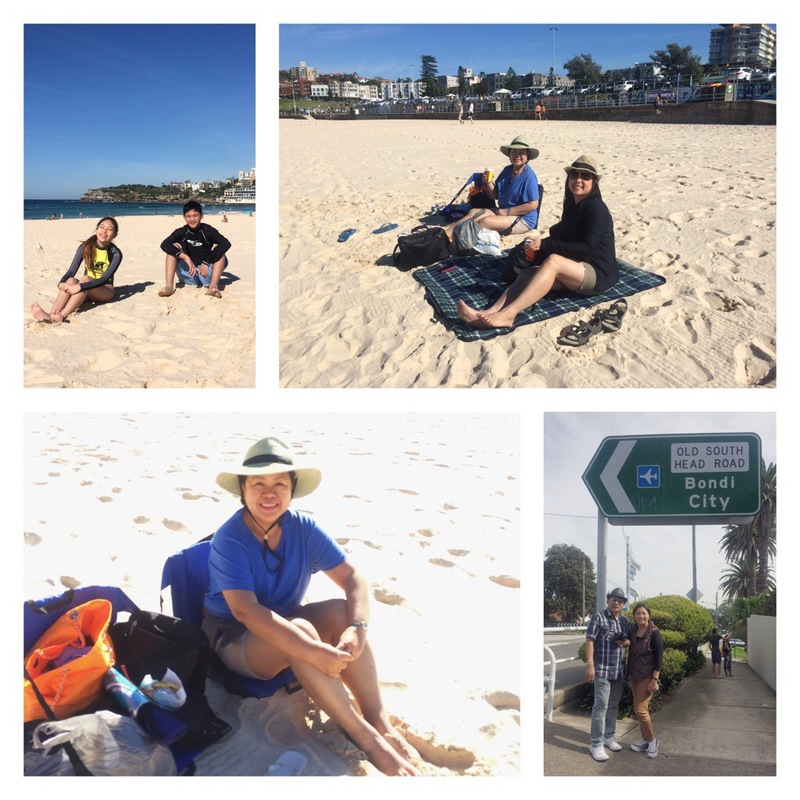 This time around late autumn in Sydney, we chanced upon a sunny break with temps hovering at 20 Celsius. 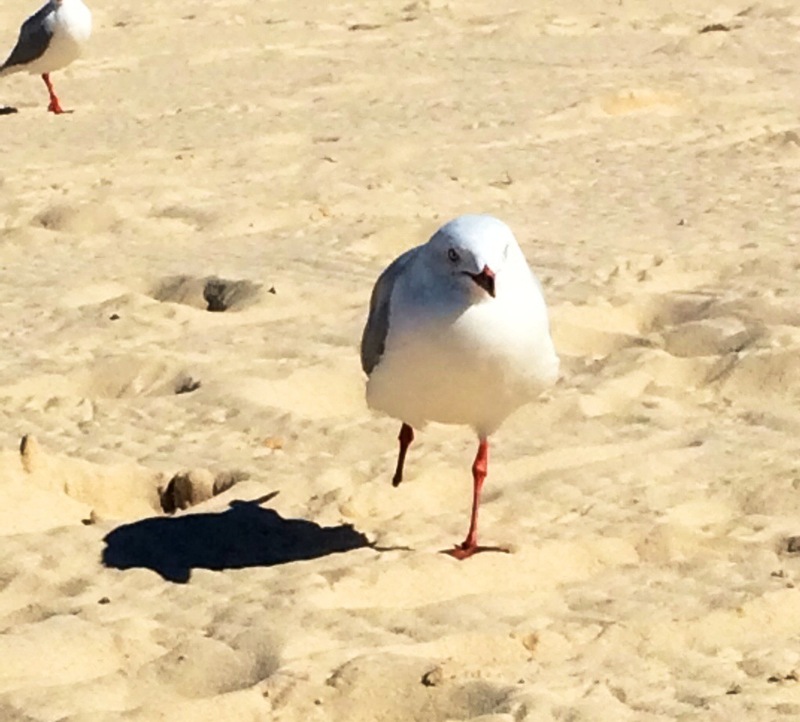 Warm enough to take a dip or stretch out in the sand, under the sun. We grabbed the chance and off to the beach we went! The teens with us braved the cold waters but promptly struggled out to join us by the shore. Toes digging under the sand, we set up our beach chairs, munched our chips and surfed the Net instead. 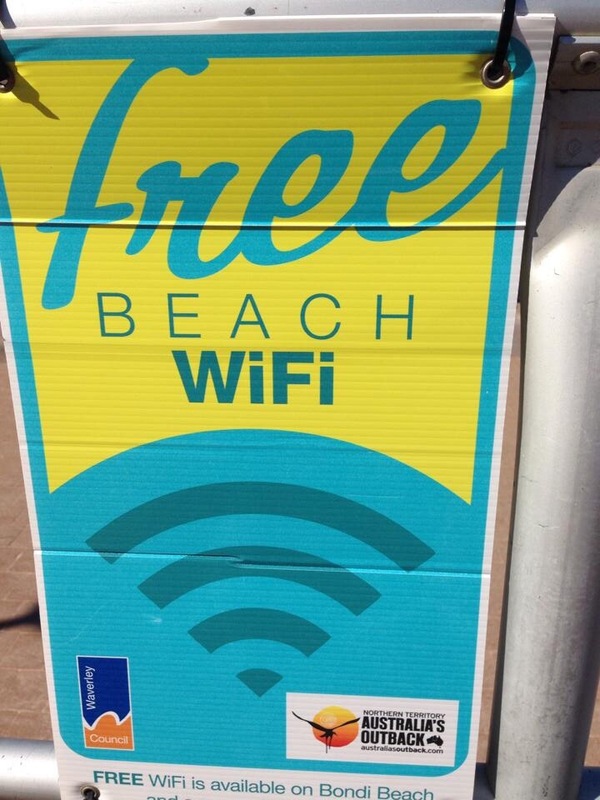 Oh yes, there’s wifi in Bondi! The crowd was manageable this time of year. Serious swimmers and surfers we are not, but we enjoyed the beach scene. After all, it was just lovely to jump out of our fleece and into our cotton shirts and shorts this Season. The teens love the graffitti and wall art scene as much as the sun, sand and surf. Me? I enjoyed my long black coffee while people-watching and repeatedly reminding myself to enrol in swimming classes when I get home. Ahhh. La dolce vita! No chicks at the beach? We saw a few when we were there but my buddy said he still likes Huntington Beach in Calif. better. Our wives said that’s because we are a couple of dirty old men LOL. Hahaha. There were, but not that many.